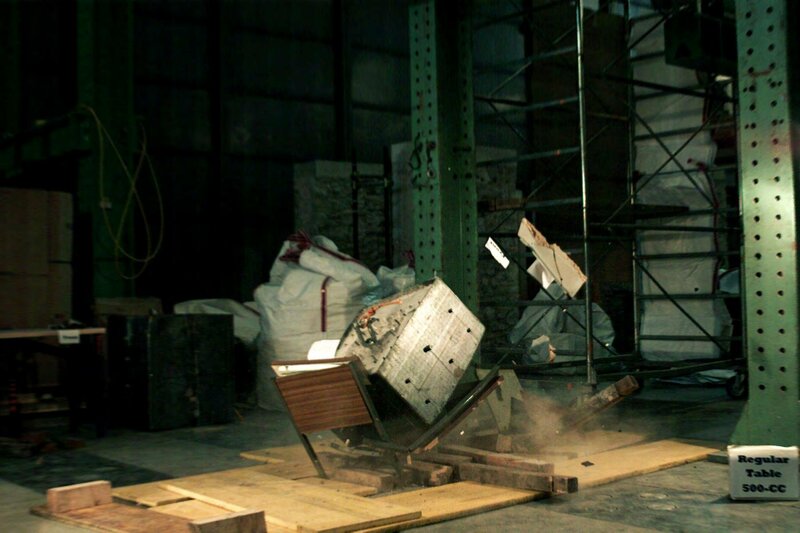 A regular desk is crushed under the weight of falling debris. 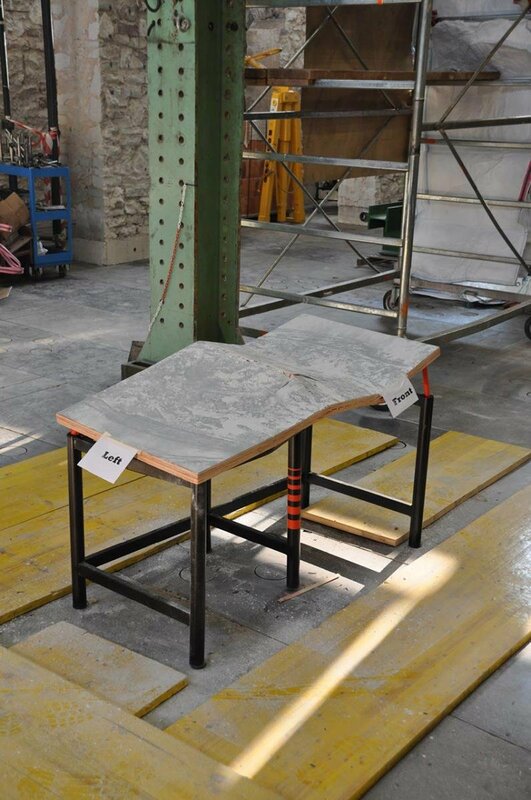 A Brutter/Bruno table prototype withstands a literal ton of weight. A little over four years ago, while still a student, Arthur Brutter went to work on a design that would literally be capable of saving lives. His project, a table, would go on to be acquired for the permanent collection of the Museum of Modern Art, and turn Brutter and his then instructor, Ido Bruno, into business partners and friends. Of course, at the time, Brutter had no idea how this one design would direct the course of his life for the next few years, or how it might affect the lives of others. Here’s what happened. He was sitting in a small living room, poring over photographs. They were the kind of photos that stay with you long after you’ve put them down; the sort many of us would prefer not to see: a series of disasters, shot by someone with unusual access to tragedy—a recent retiree from the Home Front Defense arm of the Israeli army, a unit that specializes in rescue missions around the world. Brutter’s host was kind and in his mid-fifties, and, as Brutter recollects, seemed both anxious and gratified to have someone to tell his stories to; a witness to this emotional history. For hours, he narrated album after album, calamity after calamity, for the young design student. 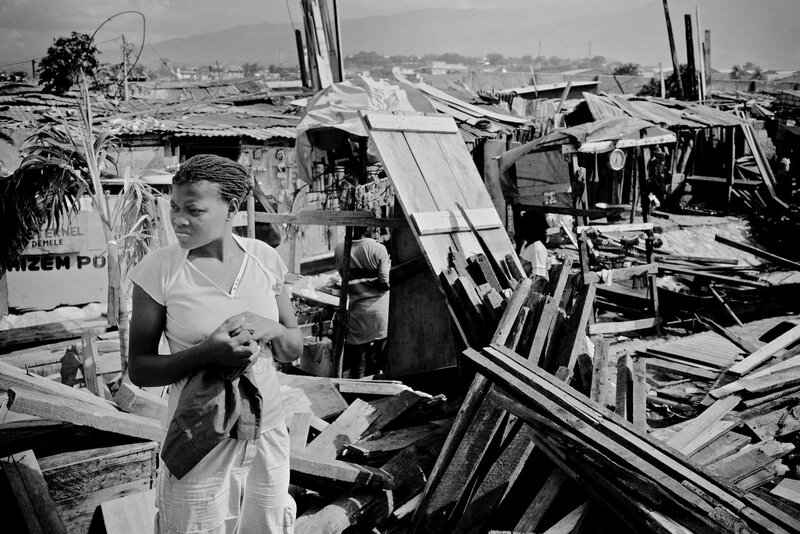 On the three-hour drive home to Jerusalem, Brutter recalls, one particular image stood out from the rest and wouldn’t let go: A devastated classroom, and a child’s small, still hands reaching out from beneath the rubble of a desk, photographed just two months earlier in Haiti following the catastrophic, magnitude 7.0 earthquake. “I was shocked,” he says. “Even today, everybody tells kids to go under their desks in an emergency, but these tables are like deathtraps.” The “duck and cover” directive originated in the Cold War era, in response to the threat of a nuclear explosion. Today, according to the designer, for the estimated 300 million students worldwide who spend their days in school buildings ill-equipped to withstand an earthquake (many built in earthquake prone areas and in developing countries where construction quality may be poor), the ramifications could be deadly. Arthur Brutter had found a problem he desperately wanted to solve. Back at school, he went to work. 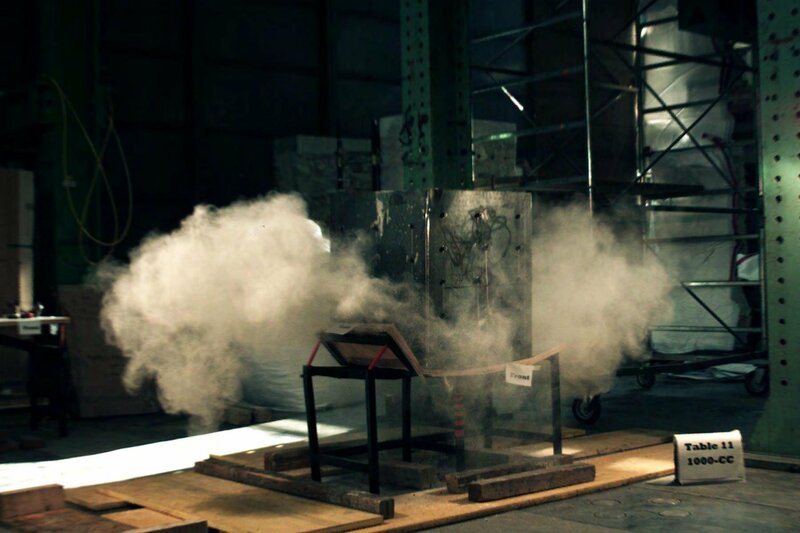 He wanted to design the world’s first earthquake-proof table—and he had just a few months ’til his graduation to develop, test, and present his concept. Working under the guidance of his instructor, Bezalel senior lecturer Ido Bruno, Brutter quickly identified his parameters. 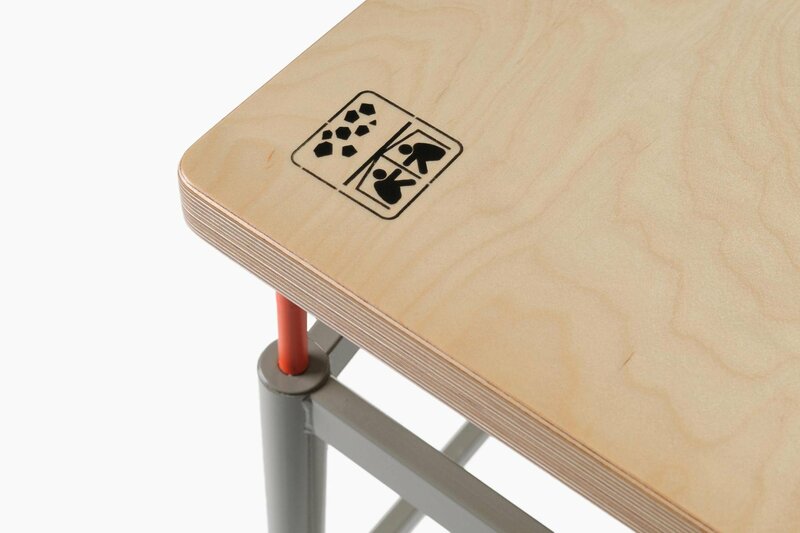 First, the table had to be affordable; the schools he most wanted to help were in developing countries. “A steel cage made of three or four inch thick steel would withstand any crash for sure, but nobody could afford it. I wanted to make something much more practical.” Second, it had to be large enough for at least two students to fit beneath, and light enough for them to easily pick it up and move it. Third, and most importantly, it had to withstand great weight in the event of the roof collapsing. “Of course,” he goes on, “Ido told me, ‘You cannot just create this on a computer; you have to prove that it works.’” So Brutter approached active members of Home Front Defense and asked for their help with testing. 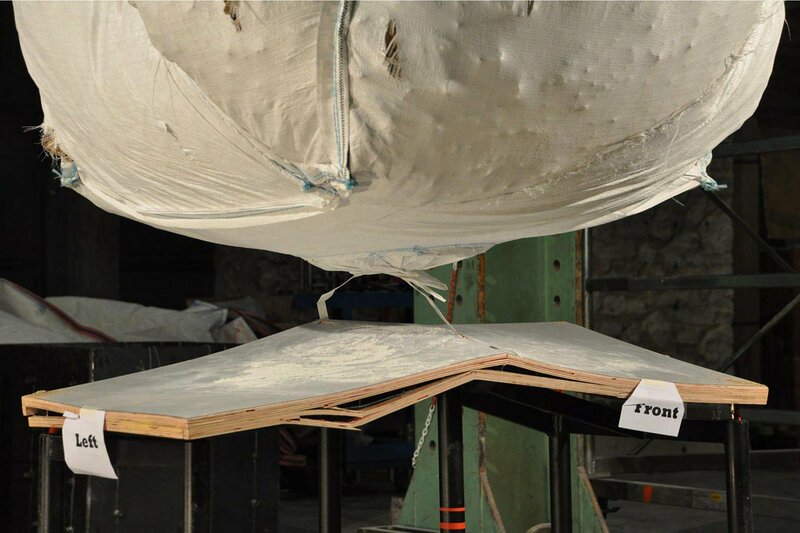 They agreed to provide the location and equipment—a few crash test dummies, a crane, weighty blocks, etc.—and helped Arthur with calculations to determine just how much weight to drop to make the tests realistic (approximately a ton). “About two months later, I’d built two models of the table, and I brought them over. 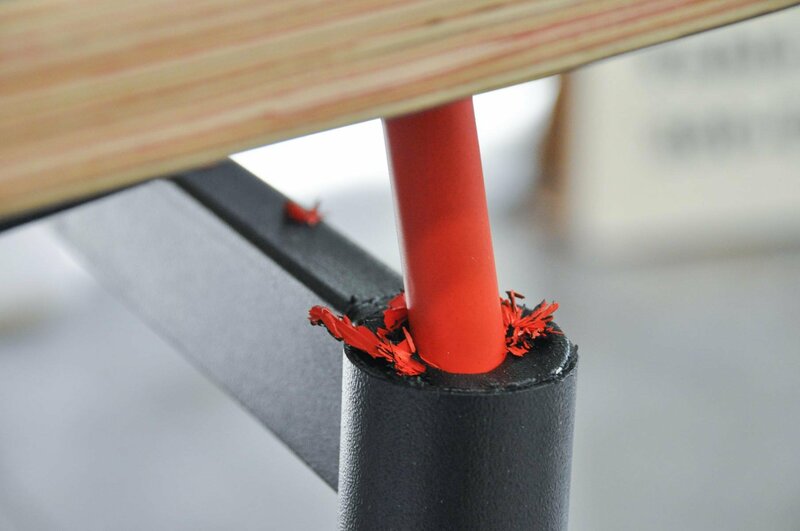 It was amazing; the first time, it really worked.” The Earthquake-Proof Table’s (EPT) top plate broke, dissipating energy and absorbing the weight. While it was still a long way from a working product, it proved that the idea was a good one. During testing with the rescue team, Brutter realized his EPT might play an additional role in emergency situations. He learned that often—as in their recent efforts in Haiti—rescuers can “hear the sound of people trapped, but it’s difficult to reach them.” His tables, positioned end-to-end in traditional classroom rows, could also form vital routes of escape and rescue. In retrospect, it makes sense that the EPT came out of the Bezalel Academy. After all, it’s not just Mr. Bruno; the school’s entire industrial design department fosters a hands-on approach informed by real world scenarios and challenges. It’s worth noting, too, that most Bezalel students are—relative to their counterparts at other schools—a bit older, as they’ve spent a few years prior completing their mandatory Israeli military service. So as a group, says Parnas, “they seem comparatively mature and focused.” They will be inspired to try new things and think for themselves, rather than being fed by any system. An array of real-world inspired curriculum also encourages agile, fresh thinking. Bezalel’s Design-for-Disaster studios, for example, focus on topics ranging from how to effectively spread reliable information in the wake of, say, a natural disaster like a tsunami, to handling memory loss or the loss of a loved one. “It’s not always just a technical thing, such as dealing with a building collapse. 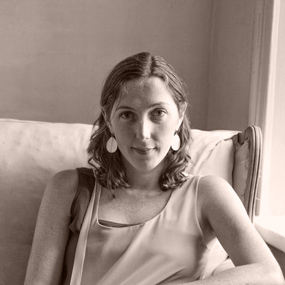 It’s also about dealing with the cultural aspects of disaster,” Parnas explains. Another example? 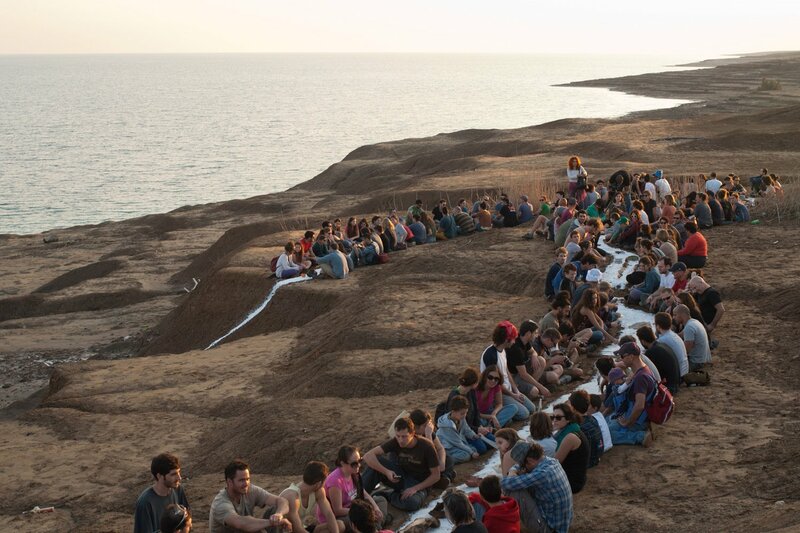 For the past nine years, the school has hosted a Dead Sea Seminar, during which students set up camp along the beach, and—in direct reaction to the high-tech, fast-paced world we live in today—among other activities, learn to build their own tools and even low-tech machines. “We’re trying to tap into the reservoir of human knowledge,” Parnas says. Bezalel students at the Dead Sea Seminar Courtesy of Bezalel Academy “If you cannot make a simple basket, build simple tools, do blacksmithing or primitive carpentry, to start designing new cars, planes, and space stations seems like a bit of a disconnect.” What’s more, the ID department facilitates course collaborations with a range of respected companies, including local stonecutters, international medical companies, Kartel Plastics, and Lexus, with whom the students completed a 2012 electric scooter design challenge. So by the time Bezalel students are in their fourth year, like Arthur Brutter was when he developed the EPT, they have a strong understanding of how to approach applied design problems, whatever their chosen focus may be. While the EPT is the first product to come out of the school and go into commercial manufacturing, the quality of work being produced there is consistently impressive. 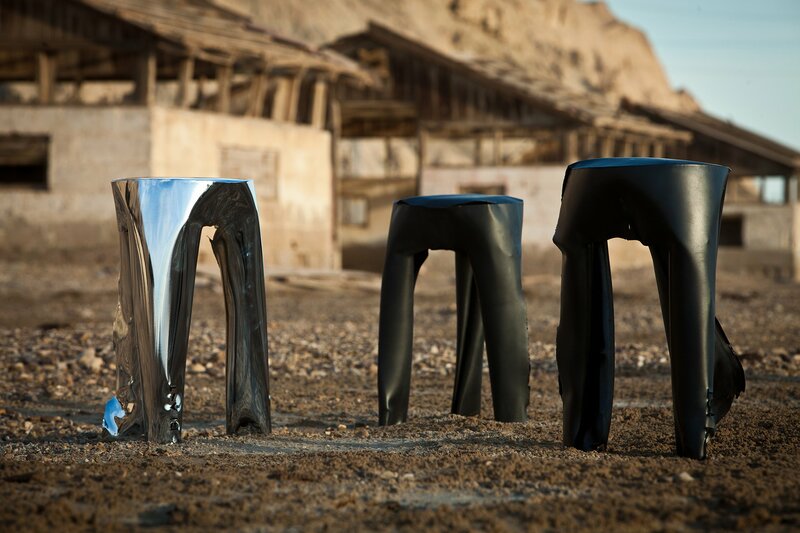 Guy Mishaly's Blast Stools © Guy Mishaly; courtesy of Bezalel From Shlomi Mir’s 2013 Desert Tumbleweed, a wind-powered, sail-covered monitoring device with GPS that measures land conditions to ultimately combat desertification; and Nir Shalom’s 2010 Amigo, a walking aid for injured dogs (a must-see for dog lovers); to Moran Krigsman’s 2013 Si++, wearable objects that allow a person not just to hear, but also to feel, music; Ofer Bermann’s 2013 Mechanical Intimacy, a device intended to combine the intimacy of face-to-face romantic encounters with potential partners’ online data (sort of like a kinder version of the äppärät from Gary Shteyngart’s Super Sad True Love Story); Guy Mishaly's Blast stools (2013), for which the designer places metal boxes and cylinders on top of explosives, then detonates, causing the metal to rip and fold and ultimately form a unique series of stools with every blast; and Tami Gurewitch’s Puncture Gun (2011), which enables emergency survivors to tap into clean water from rooftop water towers and boilers—the results reflect a culture that fosters innovation. And just like that, everything changed. Brutter and Bruno went to visit A.D. Meraz Industries in Sderot, a town in southwestern Israel. They met with CEO Avner Shahar, who expressed his interest in helping develop the table further. 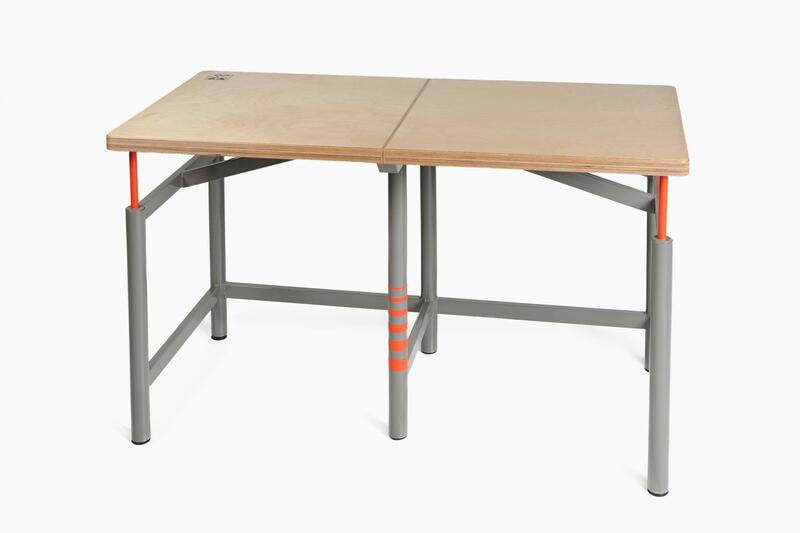 After Brutter’s graduation, he and Bruno—without whom, Brutter says, he couldn't have invented the table—officially partnered. Working with Bezalel Academy Labs for R&D (a lab launched seven years ago to help projects develop from the academic into the commercial environment) and Meraz, the pair spent a few months building and crashing prototypes in Meraz’s backyard. 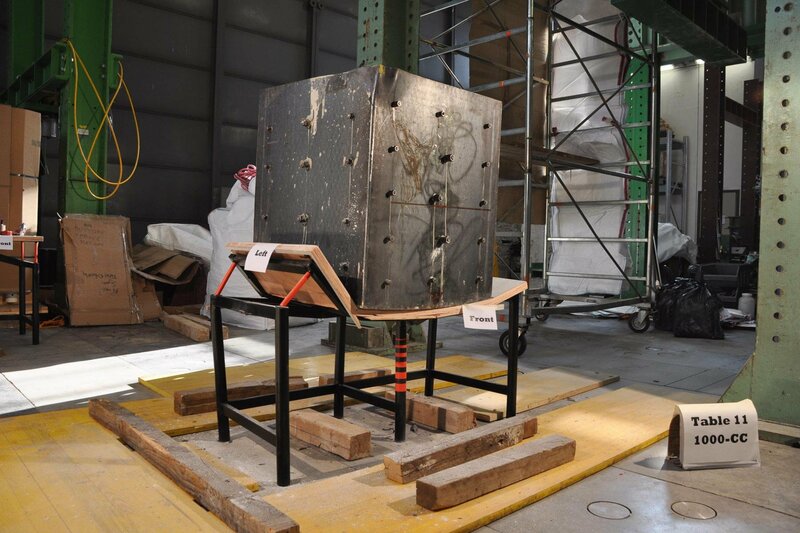 Once they were satisfied with their results, they moved on to more rigorous testing at the structural engineering department of Italy’s Padova University. Ultimately, Meraz purchased the table, and asked Brutter and Bruno to continue working with them on further development. A hundred desks have already been produced and donated to a school in the city of Sderot. As Brutter puts it, this year will tell whether the EPT will become a successful design that can help save lives or if it just ends up a lovely idea on a shelf somewhere (at least one of those shelves will be in the MoMA, which has already added the table to its permanent design collection).